Startin’ with an easy one. It’s like, what if a dog was this other thing? Missed you guys. How are you? I am good! How are you?!?!? 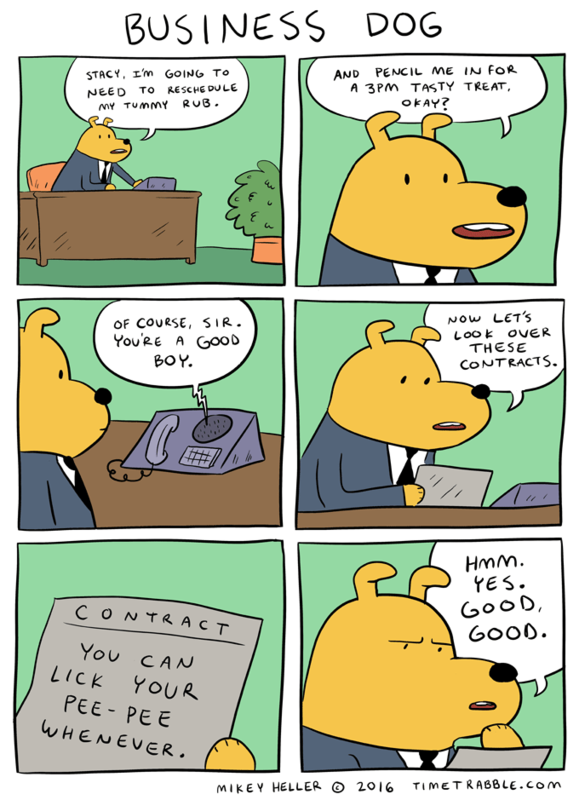 I think Business Dog would be a good Business rival for Business Cat (at HappyJar). DUDE. Where have you been?! YOU are the good boy! A new comic, yes!